The species is distributed in Armenian Highland, Kopet-Dagh, South-eastern urkey, and Norther Iran. The species was found in Armenia in 2016 by group of butterfly-watchers. Although it is suggested that Armenia is inhabited by subspecies A. m. blomi (Rose & Schurian, 1977), the taxonomic status of that level has not been studied yet. So far the species is found only in one spot in Gnishik Protected Landscape and it is assumed that it inhabits dry mountain steppes at the elevation range from about 1200 to 1800 m a.s.l. From other parts of its range it is known that Morgiana Blue's host-plant is Hedysarum atropatanum. The species gives one generation per year with the flight period from early June till early July. 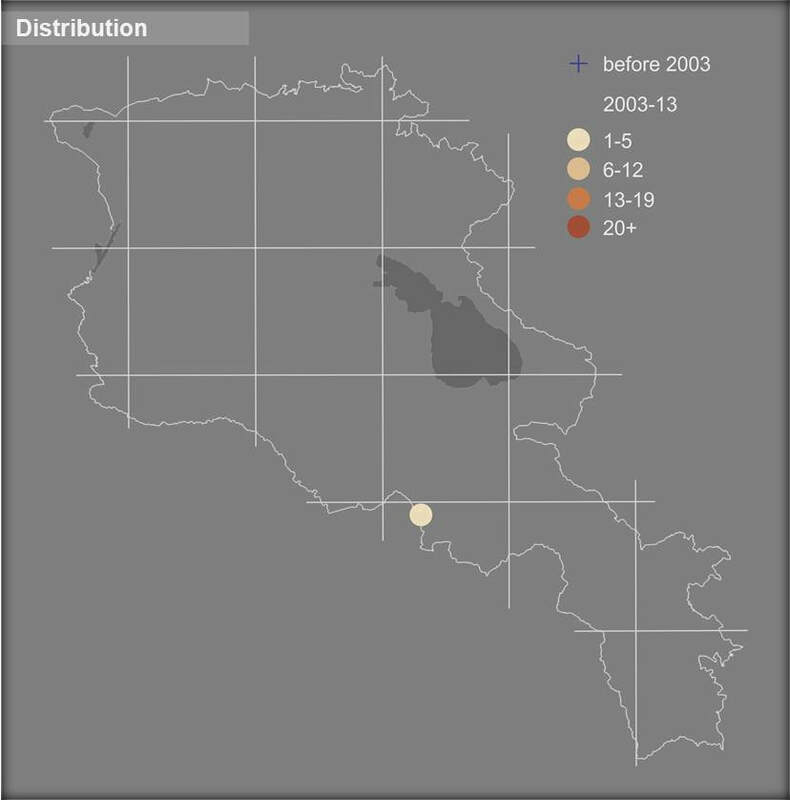 As it was mentioned in the previous paragraph, the species was recently found in Armenia and the data is not yet sufficient for computation of its population trend. In addition the count of the species becomes more complicated due to very low abundance even within its typical habitat. The host plant of the species though is usually consumed by livestock and therefore can potentially be affected by overgrazing. The species is not included in the Global, European, and Armenian Red Lists, as well as in CITES and Bern Conventions. The preliminary assessment of its national conservation status suggests Data Deficient. 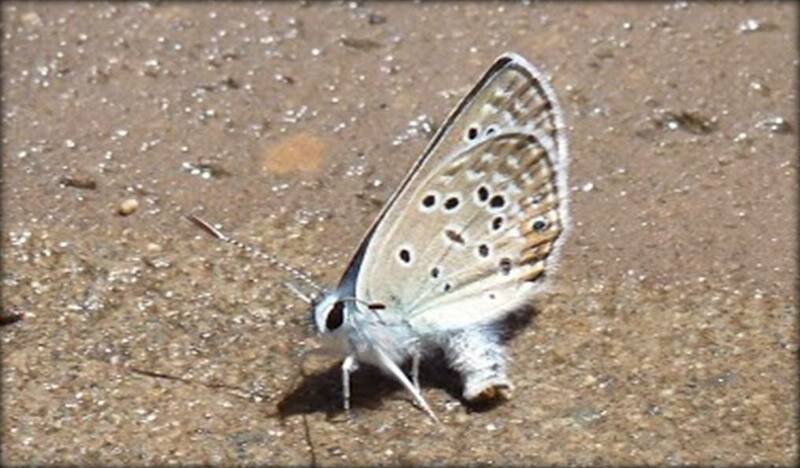 So far the species is found in one spot which is covered by Gnishik Protected Landscape, Gnishik Emerald Site, and by Gnisheek Prime Butterfly Area. Thus there is an primary necessity of further study of its distribution, abundance, and population trend. Only after that the further conservation measures can be considered.